The debate on the soda tax has been an ongoing point of contention in Philadelphia, and it took three attempts – the first two by former Mayor Michael Nutter – to get the 1.5-cents-per-ounce charge approved in the city. The battle hasn’t ended, of course. 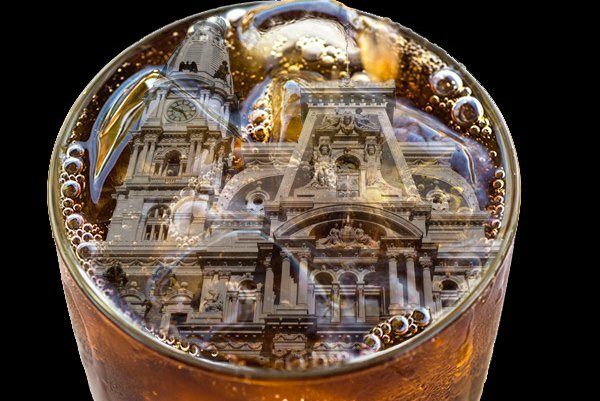 Filings with the city of Philadelphia Board of Ethics show that more than $5.4 million has been spent by pro- and anti-soda tax advocates on advertisements, including $3 million spent by the American Beverage Association between January and the end of June this year on “indirect communications,” NewsWorks reported. It’s hard not to see the irony in this investment in ads: The tax was implemented in part to aid Philadelphia public schools, where a $5 million boost would help fund a few hundred preschoolers. The American Beverage Association is also the plaintiff in a lawsuit over the tax that is currently before the Pennsylvania Supreme Court. Philadelphians for a Fair Future spent a reported $153,000 on pro-tax ads between April and June. The ads were paid for entirely by Bloomberg. A Bloomberg spokesman told NewsWorks that Bloomberg also spent about $2.3 million between mid-July and mid-September on ads.